The best course of action, if signs or symptoms consistent with DCS (or any other serious injury) develop, is to initiate appropriate first aid and then immediately contact the nearest emergency medical services (EMS). The next step should be to contact DAN to seek advice regarding the proper progression of care. The organization's emergency hotline number is +1-919-684-9111. It is generally not appropriate to show up unannounced at the nearest hyperbaric chamber. This could mean bypassing a facility where the victim might be able to receive a more thorough and appropriate evaluation. Remember that not all injuries associated with diving are DCS, even if it seems so in the heat of the moment. 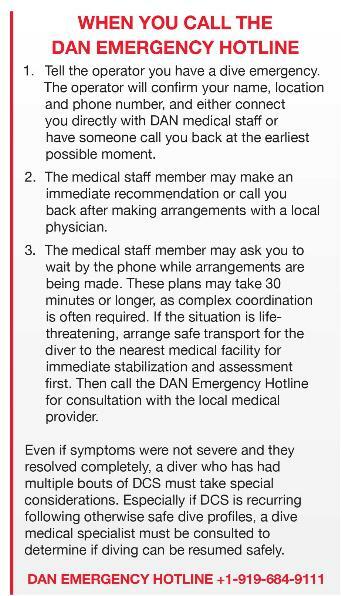 In addition, the chambers at some facilities are not available to treat divers at all times or ever. 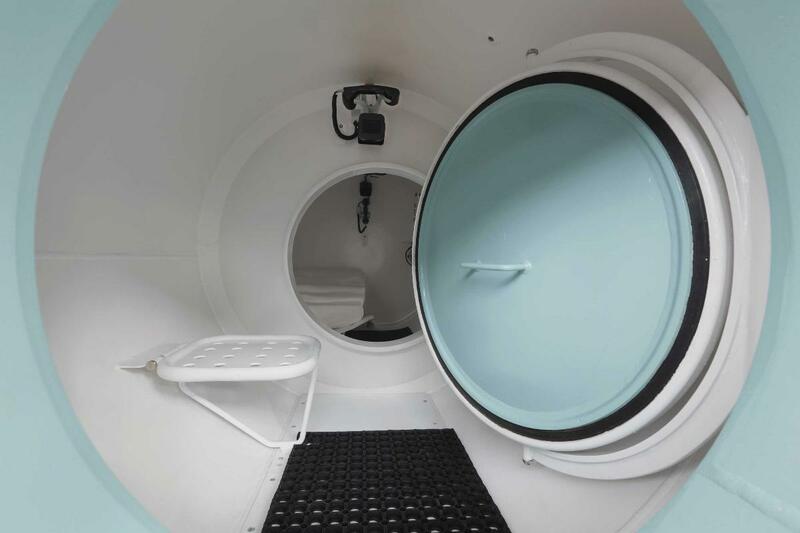 One of the challenges within North America is the shrinking number of hyperbaric chambers that accept diving casualties, particularly outside normal business hours. 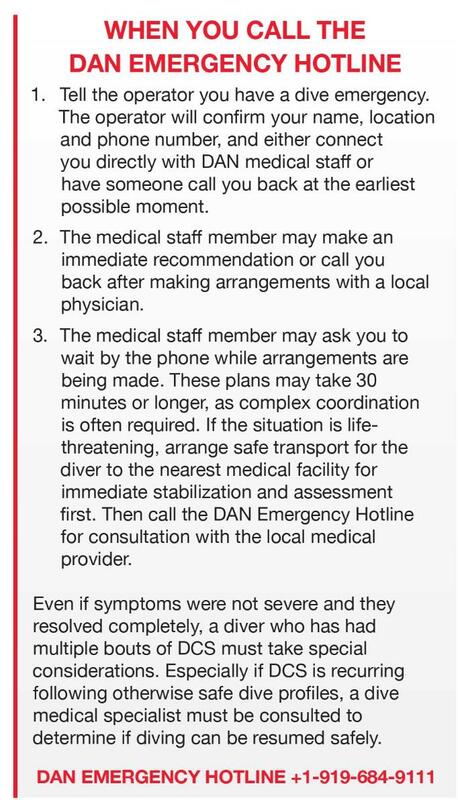 The key point to remember is that establishing contact with emergency medical services and DAN can ensure timely and appropriate case management. When in doubt, call.